The Unitary Patent system adds to territorial fragmentation of patent law in Europe, rather than consolidating it, by leaving aside non-participating EU Member States. Also, it is based on rules in the Brussels I bis Regulation (BR) and the Unifed Patent Court Agreement (UPCA) which are not consistent, according to Dr. Michael C.A. Kant, expert in cross-border patent infringement litigation within the European Union. He thinks keeping the UK in the system post-Brexit doesn’t have to be that complicated. 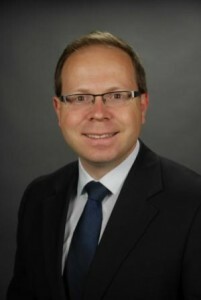 Kluwer IP Law interviewed Dr. Kant. Articles 71a to 71d were introduced in the Brussels I bis Regulation (BR) to regulate its relationship with the UPCA. In a recent article you have written these provisions have not only ‘effected uncertainties and schematic inconsistencies within the Brussels system’, but they have also established inconsistencies between jurisdiction rules of the BR and competence rules of the UPCA. Can you give examples? ‘Indeed, Articles 71a to 71d have created inconsistencies between jurisdiction rules of the BR and competence rules of the UPCA. Admittedly, Article 33 UPCA does not affect international jurisdiction, but rather concerns the competence of the UPC, i.e. the internal organisation of the UPC. However, the distribution of competences to the various divisions of the UPC according to Article 33(1) UPCA creates a cross-border order which is meant to mirror the definitions of jurisdiction in Articles 4 and 7(2) BR. First, potential confusion has been created between Article 8(1) BR and Article 33(1)(b) UPCA. While Article 8(1) BR provides for distinct conditions under which actions against several defendants may be consolidated, Article 33(1)(b) UPCA pursues a different approach stipulating that ‘an action may be brought against multiple defendants only where the defendants have a commercial relationship and where the action relates to the same alleged infringement.’ Although, again, Article 33(1)(b) UPCA does not operate at the level of international jurisdiction, but at the competence level, the lack of any clarification of the relationship of both provisions might confuse the non-private international law practitioner. Second, according to Article 33(1)(b) subparagraph 3 UPCA, the central division of the UPC has optional competence regarding a defendant who is domiciled outside the EU. This is not compatible with Article 71b(2) BR, according to which the ‘domicile of the defendant’ shall ‘not’ be ‘regarded’ by the UPC, meaning that the domicile should not be the governing jurisdiction in the case of a third State defendant. Third, pursuant to Article 33(1)(b) subparagraph 4 UPCA, the central division of the UPC is also competent if there is no local or competent regional division in the Contracting Member State where the defendant has his domicile. Again, this is contrary to the BR, because according to Article 71b(2) BR, the domicile must be ‘disregarded’ as an argument for distributing competence among the divisions. Under the BR, the only remaining relevant jurisdiction argument is the place of infringement, which may however be far away from the section of the central division of the UPC competent for the case. Fourth, if an infringement action is pending before a regional division and the infringement has occurred in the territories of three or more regional divisions, the regional division concerned shall, at the request of the defendant, refer the case to the central division of the UPC (Article 33(2) subparagraph 2 UPCA). But the central division of the UPC has actually no connection with the domicile of the defendant. Additionally, it might be far away from the place of infringement which is, in the absence of Article 4(1) BR, the only remaining place for defining jurisdiction for such defendants. However, according to Article 71b(2) BR, Articles 7(2) and 8(1) BR are applicable regardless of the defendant’s domicile in a third State. Fifth, the courts of the granting State have exclusive jurisdiction once the issue of validity of a (European) patent has been raised, irrespective of whether the issue is raised by way of an action or as a defence (Article 24(4) BR). Unlike this system, Article 33(3) UPCA allows that the division of the UPC before which the validity issue is raised during infringement proceedings may continue with the infringement case and also rule on validity, rather than providing for exclusive jurisdiction of the courts of the granting State. Why, do you think, have these shortcomings been accepted? Was there no awareness? Or is it the result of political compromise? Should these shortcomings be repaired? Will a post-Brexit UK membership of the UP system complicate things even further? ‘The detected shortcomings will principally continue to exist after Brexit. Beyond that, the further question arises whether the UK can still participate in the Unitary Patent and the UPC after Brexit at all, which is discussed highly controversially by legal commentators. Both concerning the Unitary Patent and the UPC, I think the answer is ‘yes’. In this respect, I mostly share the positions of inter alia Prof. Dr. Winfried Tilmann, Prof. Dr. Ansgar Ohly and Bird & Bird partner Pors. 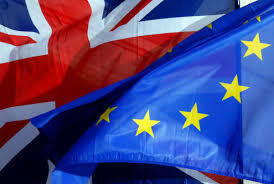 While the Unitary Patent Regulation (UPR) and the Regulation concerning translation arrangements constitute instruments of EU law, having the consequence that these instruments will no longer have legal effect in the UK when Brexit finally becomes effective, it should be possible to extend the UPR to the UK by means of an international agreement via Article 142 EPC. In this regard, Article 142 EPC requires a ‘special agreement’, not an act of EU law. With regard to the issue of whether the UK may still join the UPCA after Brexit, it is to be stated (in formal respect) that Article 84 UPCA only excludes the accession of non-Member States to the UPCA, but does not exclude a former Member State from remaining a contracting party after leaving the European Union. The UPCA is an international treaty and no EU law. While it was concluded by EU Member States, it was not concluded by the EU as such. By ratifying the UPCA, the UK would be bound by international law to accept that the UPC applies EU law in its entirety and that the UPC cooperates with the ECJ. Not the UK directly, but only the UPC would thus be bound by EU law. It is remarkable that the ECJ, expressing specific concerns about the supremacy and the autonomy of EU law in Opinion 1/09 from 8 March 2011 concerning the Agreement on a European and Community Patents Court, did not address let alone exclude that non-EU Member States participate in a patent court, as long as the autonomy and supremacy of EU law are safeguarded. Such safeguards contained in Articles 20 and 21 of the UPCA will continue to apply with regard to the UK after Brexit by virtue of international law. In your 2015 thesis ‘Cross-Border Patent Infringement Litigation within the European Union’, you were quite critical of the Unitary Patent system. ‘As not all EU Member States participate in the creation of the unitary patent, this instrument actually adds to territorial fragmentation of patent law in Europe, rather than consolidating it’, you wrote among others. Since 2015, a lot has happened. Many experienced European patent judges have applied to be appointed at the UPC, for instance. Have these developments made you more positive about the system? Given the current policy of the UK Government and the UPC Preparatory Committee to sell the UP system as an international, non-EU agreement, and given the UK’s intention to ratify the UPCA despite the Brexit vote (although new uncertainty has risen since the call for early elections), some remarks in your thesis are striking: ‘At a political level, one may clearly appreciate the creation of a European patent with unitary effect as a means to strengthen the European Union and its idea of common rules and the creation of a common economic and social entity by ensuring uniform patent protection in this respect.’ And ‘It is noteworthy that the UPC Agreement, in contrast to previous proposals, tends to place the position of the UPC within the legal system of the European Union.’. Is the UP system an EU system or not, in your view? ‘This is a tricky question to answer. First of all, we should recall that the UP system consists of the Unitary Patent on the one hand, and the UPC on the other hand. We have already seen that the legal bases of the Unitary Patent and the UPC differ from each other. And it is exactly this aspect which is decisive also for the answer to the question for the legal nature of the UP system as a whole. The legal basis of the Unitary Patent is the UPR, an instrument of EU law which is based on the Treaty on the Functioning of the European Union (TFEU). It is therefore clear that the Unitary Patent constitutes an EU right. In contrast, the UPCA as the legal basis of the UPC is an international treaty. The UPC may therefore be considered as an international patent court rather than an EU court. Likewise, the new UK Minister for Intellectual Property, Jo Johnson, when stating that the UK still intends to participate in the UPC, described the UPC as an “non-EU patent court under international law” (see the Explanatory Memorandum to the Protocol on Privileges and Immunities of the Unified Patent Court). He made clear his view that the ratification of the UPCA was independent from the UK’s status as an EU Member State. To conclude, one might say that the UP system forms a complex hybrid system comprising elements of both international law and EU law. One might therefore characterise the UP system as a system sui generis. The above analysis is interesting but (unless I’ve misunderstood) it seems to treat “divisions” of the UPC as separate courts belonging to different member states. If Art 71 (a) 2 (a) is taken literally – that the UPC is a single court that belongs to all member states, and that the divisions are just treated as internal branches, then I’m not sure that any of these inconsistencies arise. I’m not sure that the BR has any jurisdiction over which division/branch of the single UPC court is used at all. For example according to Article 24(4) BR, courts of France have exclusive jurisdiction over an EP(FR) patent. As a court common to France the whole of the UPC qualifies including the division that are not in France- e.g the Dutch local division is still a court of France and so could decide on the validity of an EP(FR) patent.. The initial Gordon Pascoe opinion considered “court common to member states” to be a legal fiction but I still read it as assuming that that legal fiction applied for the purposes of the BR. In my view the differences between the rules on jurisidiction in the Brussels I Regulation and the rules on the internal distribution of competence of the UPC divisions are not shortcomings of the UPC Agreement. The UPC will have jurisdiction for European patents, both Unitary Patents and traditional European patents, but not for national patents. European patents were basically intended as a right for the whole of Europe and are used as such by industry. The fact that the requirement of national validations makes it very expensive to cover all of Europe is rather a shortcoming, which is now being repaired by the introduction of the Unitary patent. The UPC is intended as a supranational court for Europe. Indeed, it will be a single court, albeit that it will not be in a central location, but will rather have a large number of divisions across the UPC territory. Jurisdiction will be for the UPC as such, the distribution of actions within the court is a matter of (internal) competence of the divisions, not of UPC jurisdiction. Cross-border patent litigation is a fact of life, but currently requires parallel court actions in various countries. In the 1980’s a partial solution was developed in case law, allowing for cross-border patent litigation with an effect on all countries of validation of a European patent through a single court action in a national court. However, there was a serious setback for this development when the CJEU issued its judgments in Roche v Primus & Goldenberg and GAT v LuK in 2006. A far too strict interpretation of article 8 Brussels I Regulation meant that industry was faced with much higher litigation costs. This could only have been repaired by means of a fundamental overhaul of the Brussels I Regulation, which never happened. The solution for this problem, although only for patent law, has now been found in setting up the UPC. Indeed, it is a fundamental characteristic of the UPC that actions can be concentrated in one division, at the choice of the claimant. Therefore, the threshold to sue multiple companies in a single division was kept rather low. This allows for efficient and cost-effective enforcement of patent rights, which the Brussels I Regulation does not. In my view, it is rather strange that on the one hand business is getting more and more international and the European Union is supposed to support and enable that, whereas on the other hand the Brussels I Regulation is a serious obstacle to achieve the same. I think the solutions provided in the UPC Agreement take away the major obstacles. For companies who have patent rights across Europe and who sell products under those patents across Europe, whereas their competitors do the same, it is not important whether an action is handled in a court division that is “far away” from the place of infringement (but of course still in Europe), wheras in most cases these infringements will be everywhere in Europe anyway. Therefore, the choices made in the UPC Agreement are not shortcomings, but solutions for the shortcomings in the CJEU case law on the Brussels I Regulation. These choices were not made by mistake, but intentional, to promote international business across Europe. For national patents the situation was and will remain to be different, as these will have to be litigated either in the home court of the defendant, if that is within the EU, or in the country where the patent was granted. That serves the interests of SME’s who are only active in one or two EU Member States.